Woohoo! The infamous Coke Spoon collection (well #1 and #2 anyhow, poor left out #3, what were they thinking?) 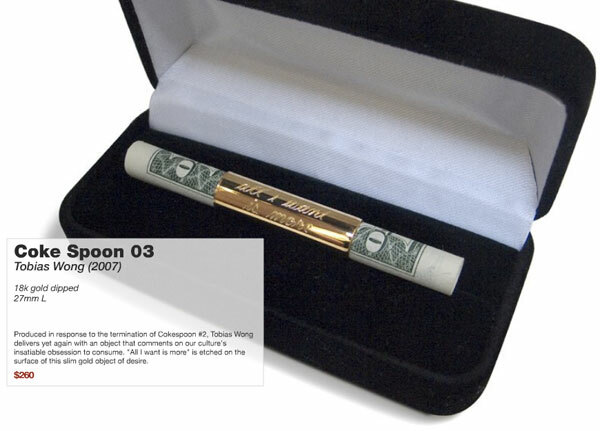 as well as the Play Boy Swizzle Stick of Tobias Wong and Ju$t Another Rich Kid by Citizen Citizen are going into the permanent collection at SFMoMA. 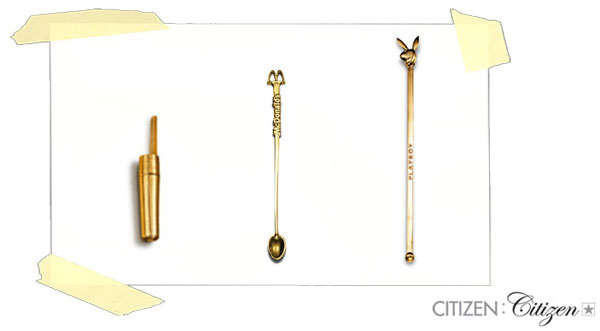 It’s nice to hear that larger institutions are quickly embracing these playful pieces which recontextualize the way you perceive things as simple as a McDonald’s stirrer, or a bic pen cap… gold clearly does amazing things. As does naming. Also, you can’t help but wonder if the McDonald’s Cease & Desist had anything to do with their wanting the discontinued Coke Spoon #2?